Parts returned for exchange or refund must be suitable for resale. No returns are permitted for products after 15 days post purchase. All sales for electrical parts are final. All refunds are subject to a minimum 20% restocking fee along with the price for returned freight unless the reason for the refund or return is the fault of Indy Auto Parts. Some parts may be warranted by the manufacturer and have to be shipped directly to them. Product lines warranted only by return to the manufacturer are, but are not limited to: Holley, Edelbrock, MSD, Mickey Thompson, Race Pak, Powermaster, MagnaFlow, MagnaFuel, Weld, Strange and Petronix. All race parts are sold "as is" and with all faults. There is no implicit store issued warranty. 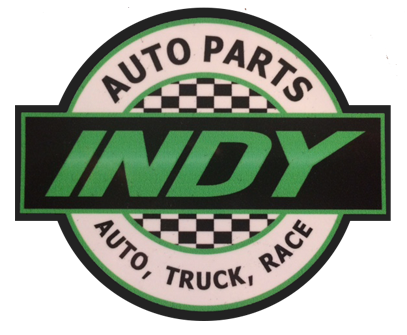 Indy-autoparts.com and Indy Auto Parts Inc, will not be liable for any loss, damage, or injury arising from the use of these products. Racing is a dangerous activity. The user shall determine the suitability and safety of the product for its intended use, and the user assumes all responsibility and risk in connection therewith.